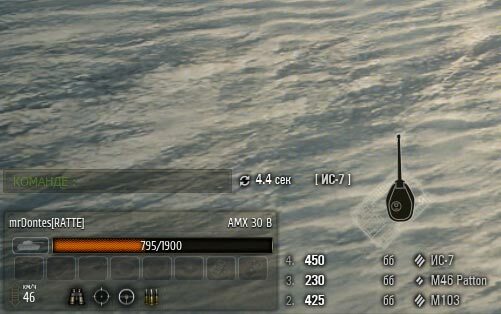 One of the most popular damage panel for World of Tanks – is Gambiter panel. For those who do not know – it is a damage panel, which gives the player damage log with recharge time. Such information will be very useful because you really will know how much time you have left and you can take the right decision: to hide or to cause a fatal blow. 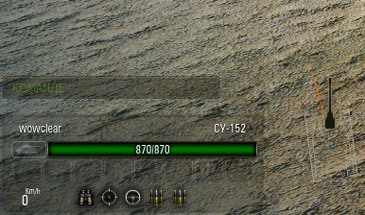 This damage panel from Chinese players have not been updated for a long time and now the author decided to do it. Panel was based in Gambiter, but with some raisins from authors. Mod provides only an important and necessary information for the player. Minimalism, quality and informative – this is a brief description of this mod.